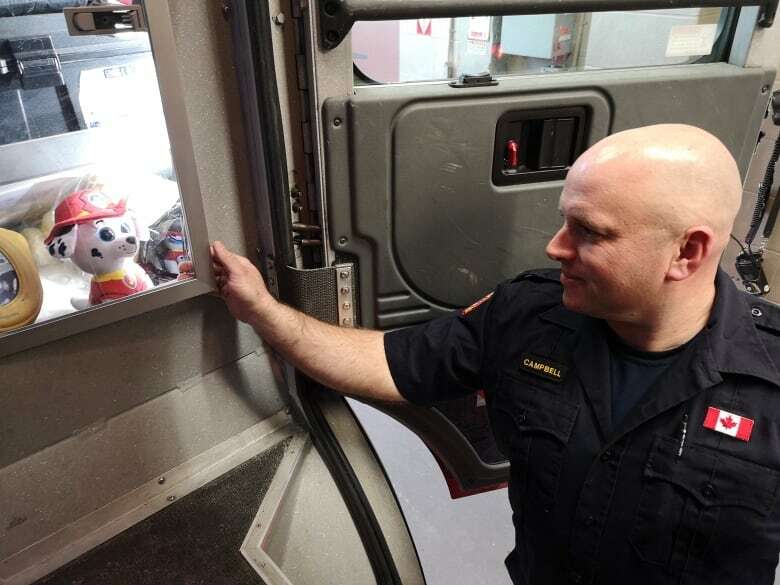 Teddy bears and plush dogs have become part of the standard equipment Nova Scotia firefighters take with them to emergency scenes. 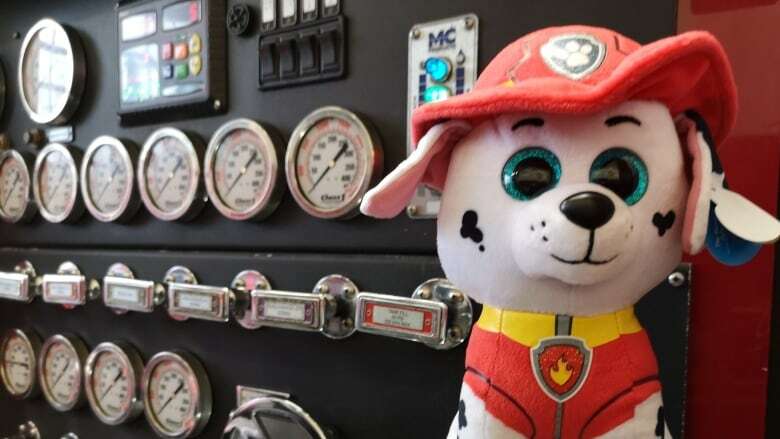 Nestled in the back of most Nova Scotia fire trucks, in among the breathing equipment and first-aid kits, sit smiling teddy bears and plush fire dogs. When an emergency call comes in, and the fire engines roll out, firefighters make sure they have stuffed animals with them. The International Association of Firefighters said some fire departments might keep toys on their trucks now and then, but it appears only departments in Nova Scotia do it regularly. 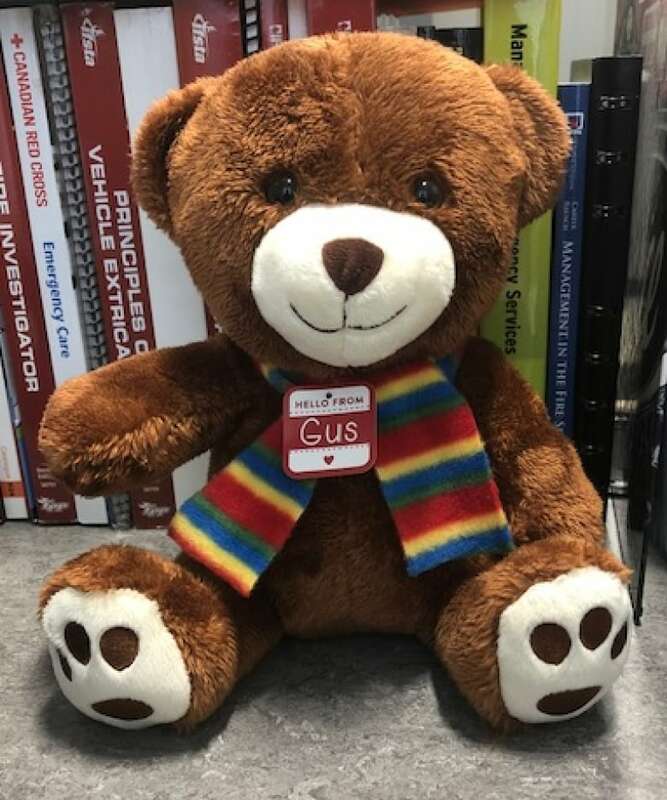 "Every apparatus carries about two or three of the stuffed animals on our trucks," said Joel Campbell, acting captain with Halifax Regional Fire and Emergency. "We keep them in the apparatus with us in the cab so they stay clean and they stay dry and they stay warm," he said. The toys serve as a different kind of emergency equipment. They're used to help comfort children who are involved in car crashes, house fires and other traumas. 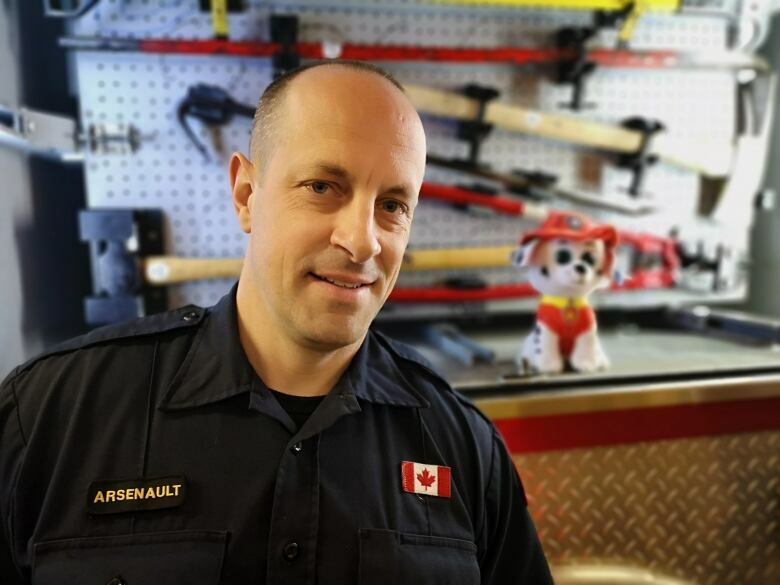 "We have them stuffed in the back of the truck, it's … kind of a nurturing thing for the kids to kind of cope with what's going on," said Halifax firefighter Tom Arsenault. Arsenault said the toys get different reactions depending on the situation. "Sometimes the kids are really rattled. It depends on what situation they're in. For the most part you can bring a smile to their face." The stuffed animals help calm children and, in turn, that helps their parents relax, said Arsenault. Last year, Halifax regional firefighters handed out 120 plush toys at a cost of approximately $1,600. It's not clear how the tradition of carrying the toys on trucks started. Campbell said fire departments in Halifax were doing it before the municipal amalgamation in 1996. It's common practice at many departments across the province, according to the Fire Services Association of Nova Scotia. For instance, the Brooklyn fire department, on the province's South Shore, hands out two or three teddy bears a month. Ryan Richard, the deputy chief of the Brooklyn fire department, said he is not surprised. "It shows how tight we are," he said. "Everybody gets together to support one another in the Atlantic provinces and it's a great thing. I'd like to see other fire departments really step up to the plate and get involved like we do."